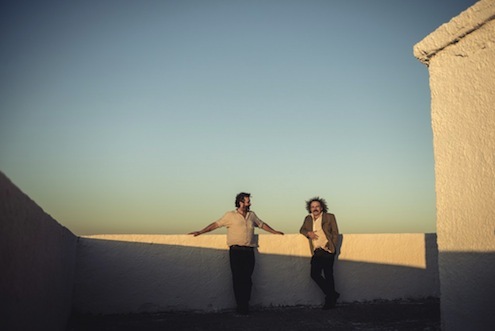 Xylouris White round out their Australian summer odyssey with a final run of headline appearances taking in Melbourne, Canberra and Sydney alongside a debut appearance for Womadelaide. The March shows follow a recent brace of shows as special guest to PJ Harvey plus a festival appearance at Queensland’s Woodford Folk Festival and a headline appearance at Melbourne Recital Centre. Xylouris White is lute player George Xylouris and drummer Jim White (Dirty Three, Venom P.Stinger). They’re master musicians whose expansive and frequently hypnotic work is characterized by a sense of endless exploration. The duo’s use of space within its songs suggests a sense of possibility and a freedom to see, find and invent. 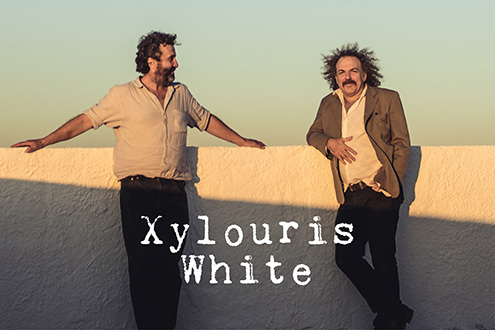 Xylouris-White has toured relentlessly in the last few years, bringing its unmistakable music to audiences throughout Europe, Australia and North America. As the sun went down, the powerhouse combination of Dirty Three drummer Jim White and famed Cretan lute player George Xylouris delivered an incredibly energetic and full-throttle set under the moniker Xylouris White. Xylouris looped his drone-like lute playing through his amplifier for a rockier sound while the always-confident and charismatic White delivered a frenetic blast of jazz-inspired rhythms.” – Live review as guests of PJ Harvey in Fremantle. Don’t miss these unforgettable shows by two of the world’s most acclaimed musicians. Tickets for all shows are on-sale now! La Trobe University’s 50th Anniversary, Bundoora Campus.